Rocket launch at Bolton Abbey! Post 9. It was a bright sunny morning when we arrived for our photo call at the start, Ilkley. Looking like ‘Little and Large’ we were very cheerful, somewhat oblivious to what we were about to embark on. Ilkley has an air of prosperity, being within commuting distance of the huge city of Leeds. We were a little nervous as we left this comfortable town. Progress was easy as we followed the River Wharfe for some six miles, breaking into the song ‘On Ilkla Moor Baht’at’ which, translated into English, means ‘On Ilkley Moor without a hat.’ Ilkley Moor is the high moor stretching to the south of the town and I was relieved we were not climbing it, with or without a hat. 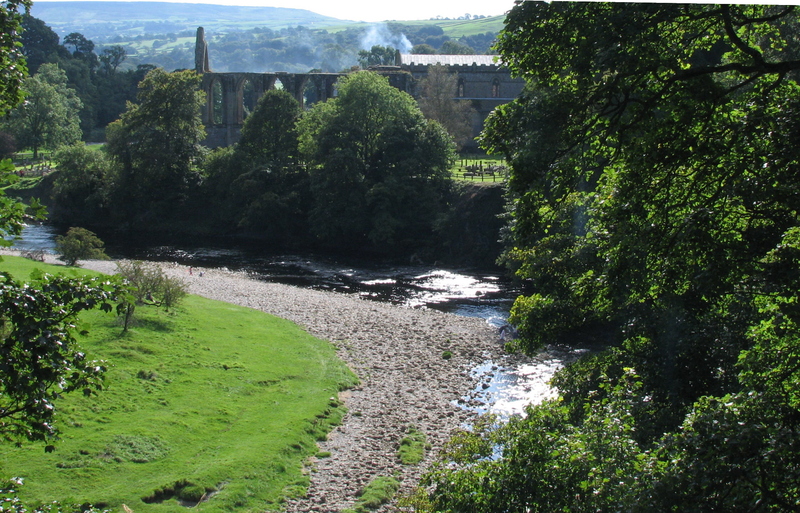 We eventually reached the fine ruins of Bolton Abbey, an excellent stop for snacks and for Gary a read of the Sunday Times. The top took off like a space shuttle being launched, then, after reaching mach 2, hit him on the nose. Suddenly, blood spurted from his nose. ‘ Have you got the first-aid kit?’ he said. Seeing that the injury was not fatal I burst out laughing. I then realised that he had been carrying a bottle of pop for six miles, which had been bobbing up and down in his rucksack, increasing in pressure all the time. Had we carried on for another couple of miles we could have been the first recorded long-distance walkers to die through a pop bottle explosion. 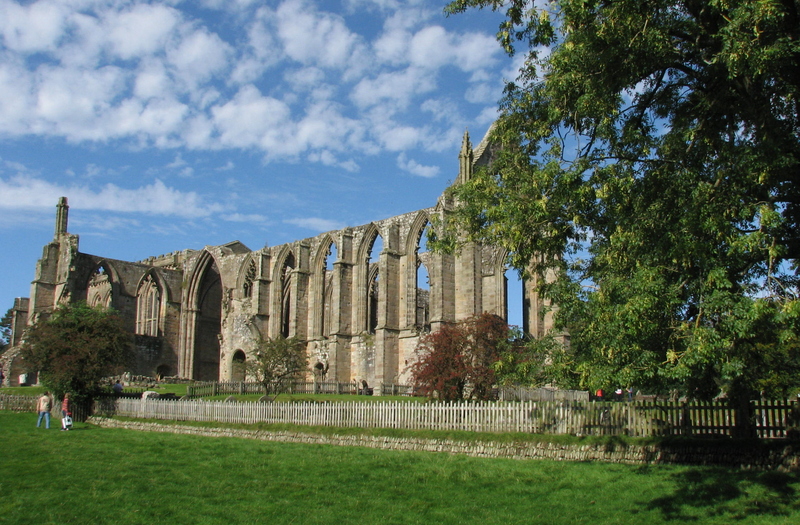 Bolton Priory had been in existence since 1154, but had never before had a ‘rocket launch’ in its grounds. Imagine the memorials that could have been erected to us. Gary cleaned up his nose with the Sunday Times, almost certainly inducing lead poisoning. I then managed to find a plaster from my emergency supplies to cover up the unpleasant sight of blood. Gary carried on reading as though nothing had happened. Clearly I was in for an interesting walk with my kamikaze walking companion. ← Blisters BEFORE the start of my first long-distance walk !!!! !